Cooling Towels Review- Are they a great cool down resource? Do Cooling Towels Really Work? When people want something to help them cool down perhaps after exercising or just because its a hot day, they want something that is going to work fast and be easy to use. Cooling towels have become the latest trend for a lot of people that want to cool down fast. For those that are exercising they will usually carry a bottle of water with them, and a dry towel to wipe the perspiration. With cooling towels these can be wet in cold water and then wrapped around the different parts of the body, usually the head or neck to keep a cooling sensation going. Although there has been some television commercials lately featuring Endura Cool, which is one cooling towel brand, it is not unique and there are many different brands on the market. They all have the same basic claim which is to instantly cool the body. Mostly it is about convenience, and you might say prevention. It is convenient because those that are hot don’t have to go looking for a towel or cloth to soak and then use to cool down. The cooling towels are wet and then wrapped around the neck or head prior to a person heating up. So in a sense it is supposed to prevent them from becoming uncomfortable from the heat build up the body creates when exercising or in hot weather. The cost of heating towels can really vary. An average price for a single cooling towel is around $6.50, then you can buy sets or packages that range around $26. It doesn’t take much of a commitment to using cooling towels, other than the few seconds it takes to activate it. This is done by soaking it under cold water, wringing it out then snapping it. You just have to remember to do this before you start your exercise that’s all. It seems like a good idea mostly for convenience. Any towel that is soaked in cold water is going to give some relief from the heat. The difference is the materials that the majority of these cooling towels are made of are supposed to hold the cold longer, so in turn gives you longer relief. The material in each brand may vary somewhat as different materials have different qualities. 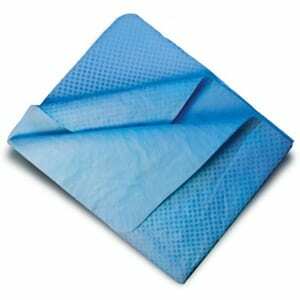 For example, the Frogg Toggs Chilly Pad sells for $13.99, and is comprised of a PVA sponge material. It has received some fairly good reviews. Endura Cool has several but similar cooling products that they promote, they call theirs a proprietary material, so in other words its a secret. We’re going to give the Cooling Towels in general a Try/Buy Rating. When trying to choose the brand that you think is best you are going to have to do some shopping comparisons and pay attention to the materials that they are comprised of, then maybe do a little more study on this. You also want to consider that you may want to buy a couple because they are going to have to be laundered. So you always want to make sure that you have a clean one on hand. We have reviewed one in the past called Chill-Its, so you may want to start by checking this one out first. It is important to try and find different resources to help you cool down when you feel hot or sticky. For outside workers the cooling towels might help to bring some temporary relief when they don’t have access to water that they can use to cool down with. What do you think? Does Cooling Towels work or not? Do TV Ears Really Work? My “go cool” towel works great. Was 90o outside and had to work in it, so I purchased mine for $5 in ocean state job lot, ran it under the garden hose, wrung out the excess water, snapped it 3 times and worked 7 hours. However I did have to keep watering it but who cares, kept me very cool. Went back to buy more. I picked up a “Perfect Cooling” cooling towel from a big display at walmart near the sporting goods dept for $4.99. Initially I thought, hrmm….I know this is a scam and wont work at all, but its only 5 bux. So I bought it. Well, lemme tell ya, I dunno how, but this thing works. A room temperature dry towel, sprinkled with some room temperature water….and it got ice cold. It lasts several min against your skin. Then you take it off and wave it in the air and it gets ice cold again. As long as it is slightly moist, it will continue cooling. Sounds crazy, I know, but it works. I bought my cooling towel from my local grocery store in Orlando Fl. (Publix Supermarket) for $3.99 and it works great. I go to Disney often and it comes in handy walking those parks in 90+ degree temps. Does anything at all stay cool in Mt Ommaney QLD……..ever. I recon even the fridges are room temp! When I clicked in 5 stars, the rating is “Exellent.” Is Doesitreallywork.com real or an email collector? I disagree with the initial review stating that this kind of towel is simply a convenience . I wet it at a water fountain where the water was Luke warm. After wringing and snapping, the towel was COLD. If I had wet down a regular towel, it would have been a lukewarm, dripping towel that got my shirt wet. I used mine yesterday at the State Fair. It was sunny and 90 degrees. It was amazing. Not only did it help me be comfortable, it also provided sun protection for my neck. It didn’t get my shirt wet either. It is exCellent.